Apache87: It needs a check. This is a simple cache! 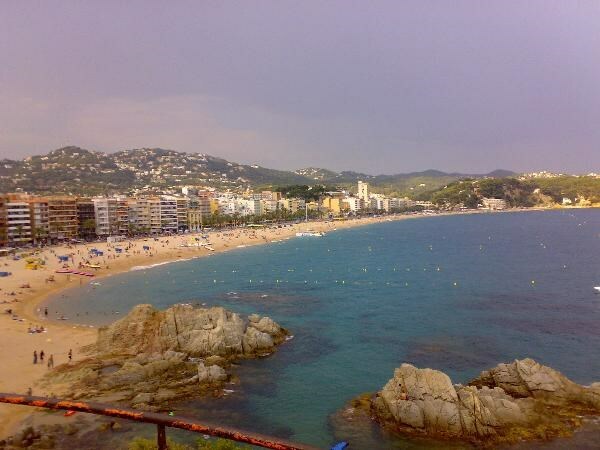 When you'll go to Lloret, you can find this cache but pay attention! You must not be DRUNKED otherwise you risk to fall down of the mountain! First, you must appreciate the art of 'DONA MARINERA', a famous realization of Ernest Maragall carved in 1966 to celebrate the millenium of Lloret de Mar. Then, you can check your GPS and you'll find te cache! GOOD LUCK! A spanish man decided to do maintanance for me in Lloret de Mar. I writed to him and he replied to me that he can do this for me. He is pela-suros. Gur pnpur vf ng gur obggbz bs gur envyvat, va n fznyy ubyr. Lbh zhfg rkprrq gur envyvat naq jngpu gb lbhe srrg!